“One Mom’s Journey to Motherhood: Infertility, Childbirth Complications, and Postpartum Depression, Oh My!” is available for sale! Please visit my Facebook author page for info on my book. You can purchase via Amazon , Barnes & Noble, or Walmart. If you are an organization that would like to purchase in larger quantities, please send me a message via my FB author page, and I can arrange for you. Here is the press release (that I’d written) and a touching book review written by Kathy Morelli, a Licensed Professional Counselor and Director of BirthTouch, LLC®. 1. Sharing my experience so others would not feel as alone as I did when I was trapped in the dark PPD tunnel, not knowing what was happening to me and why. 2. Sharing what I learned from reading around 20 books and countless articles. The book isn’t just a memoir; it’s also a self-help guide that also touches on PPD basics (environment vs. heredity, risk factors); tips for the mom, partner, friends and family; and how to get help. 5. For more on why I wrote my book and how I didn’t do this to profit (I laugh whenever I think about just how much i had to pay out of pocket to self publish), click here. If you are interested in writing a book about your PPD story but are unsure how to get started (or have some questions or would like some advice), please do not hesitate to drop me a comment below (or send me a message via my FB author page), and I will email you back and we’ll see what I can do to help you start your journey to becoming an author! 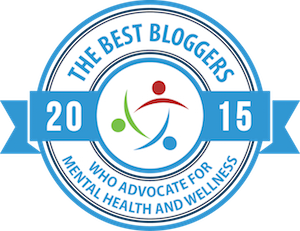 I would like to personally congratulate you as your Ivy’s PPD Blog has been selected by our panelist as one of the Top 100 Postpartum Blogs on the web. I personally give you a high-five and want to thank you for your contribution to this world. 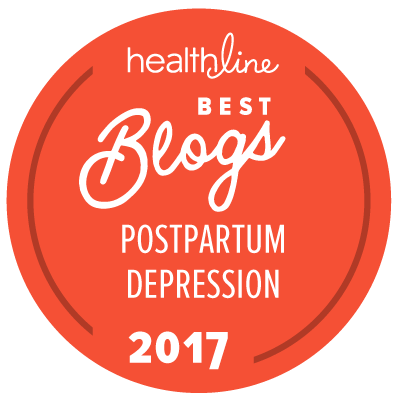 This is the most comprehensive list of Top 100 Postpartum Blogs on the internet and I’m honored to have you as part of this! What a lovely surprise it was for me to wake up this morning to receive your note congratulating me on selecting me to be part of your list of PPD blogs! I am so honored! And I am now proudly displaying the badge on my blog. I have a book contract with Jessica Kingsley Publishers http://www.thebookseller.com/news/jessica-kingsley-signs-recovery-letters-333366 to publish a book of current letters from the site alongside new letters. It will be published in the US and the UK in August 2017. I wonder if you would be interested in writing a letter? I really like your website and your writing on PPD; I am very keen on representing all types of depression and want to ensure we have compassionate voices about PPD. There’s no remuneration I am afraid but hope you still might be interested. If this sounds of interest send me an e-mail and I can tell you more, therecoveryletters@yahoo.co.uk. You can find The Recovery Letters on twitter @RecoveryLetters and on Facebook too. Hi James, thank you so much for reaching out to me and for your interest in my writing. I would be very interested in participating but traveling at the moment. Will reach out to you shortly for more info. Oh, so sorry! Sending you an email now. Was running around all day yesterday. Your insomnia ppd blog hit so so close to home for me and I would be interested to get in touch with you via email to get more insight/hope. Just a quick note to let you know that I will be in touch with you soon. Turning in shortly and going to be running around tomorrow. Whereabouts do you live and are you being seen by a healthcare professional right now? If not, would you like me to find someone local who can help you get on track to recovery? How many weeks since you’ve had your baby? Hey thanks for the reply, my story is a long one, starting in my last weeks of pregnancy (I had twins). I am currently on medication and working with a therapist, although the meds seem to be giving more benefits than the therapist. I am not out of the woods yet, and have had so much despair over the last month and a half. And I believe I’m slowly but surely getting better. Your blog is literally the first thing I read that hit the nail on the head, I didn’t realize I wasn’t alone! And I am located in Michigan, I’m hopeful I’m on the right road to recovery. I will email you tomorrow. I’m glad to hear you’re getting help. Recovery does take time. I was on Paxil for a full year because it took a while to wean from it. I’m really glad you found my blog because you can see from all the comments over the years that moms have left for me on postpartum insomnia. You can see from a lot of them that they were fearful they would never recover and that they were alone in their experience. But they did recover and they weren’t alone! You can see more mothers’ experiences and perhaps even share your story with others by joining the Postpartum Support Int’l closed FB group https://www.facebook.com/groups/25960478598/. Stay strong! Ivy, because of your blog and related links to other bloggers and help-sites, I am miraculously “cured” of my current episode of PPD…you have removed the isolation and darkness I have felt for the past few months, the despair and fear of not ever being able to enjoy the role of being a mum again. 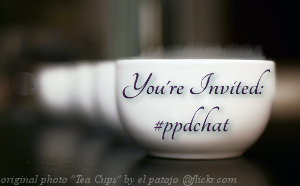 You and all who share their experiences on PPD and hope to help others pull through this darkest journey are angels. I’m so pleased to hear my blog helped you feel less alone and helped in some way with your recovery. May I ask how long your recovery took and whether you also sought medical help to get better? Ivy, thank you for this blog. I’m struggling through PPD now and was wondering if I could contact you to frame my own experience. Thank you for your consideration. I’m writing an ebook (which I’m going to serialise as a blog) about my experience of post partum psychosis. In fact it’s nearly finished. I’m trying to build an audience on twitter for when I launch the blog, do you have any tips on what I could do please? Do you have an email I can correspond with you in private with? I have been on lexapro 20 mg for 12 weeks now and have slooowly been getting better but had panic attack at work today and took a Xanax. Very discouraged and scared. Can I talk with you? Hi Chris, sorry to hear about your panic attack. Have you spoken to your doc about this? What state do you live in? I will send an email later tonight as I am in transit right now.